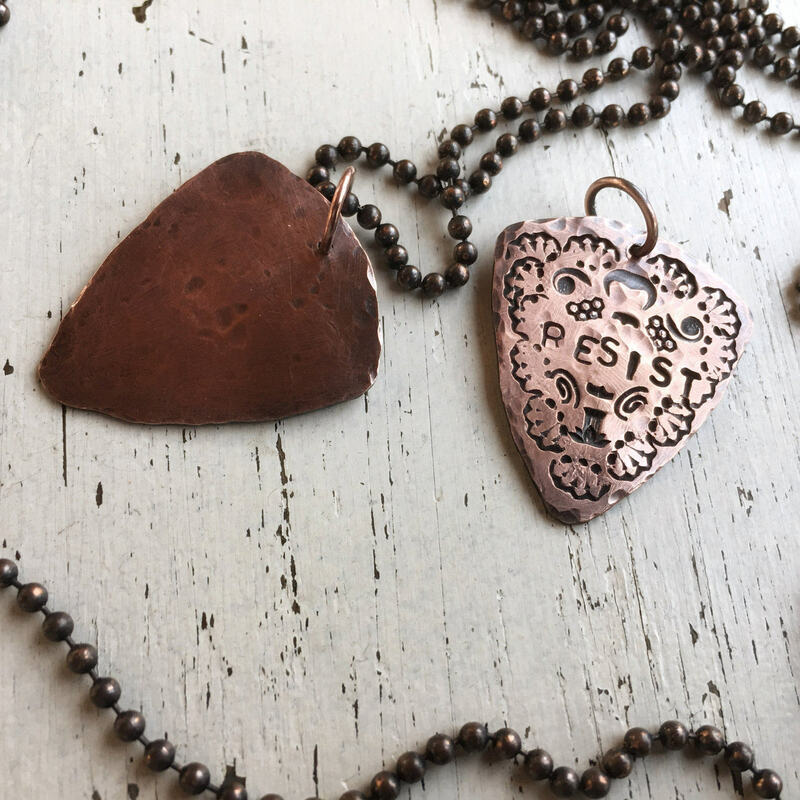 This hammered copper guitar pick pendant is available alone, or as a complete necklace with a custom-length copper ball chain. Your choice of protest inscription, please choose from the drop down menu. Each piece is a custom made work of art and will have slight variations due to the nature of such a handmade item. 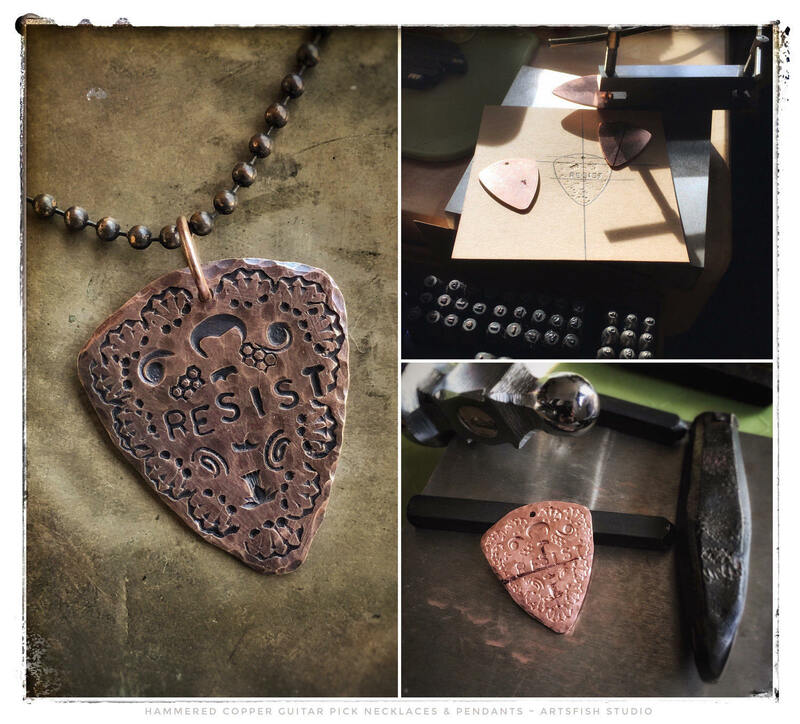 The 18 gauge copper guitar picks are hammered with a ball peen hammer from the back to create a hammered texture as can be noted in the detail images. The dimensions of each pick are 30mm x 27mm. 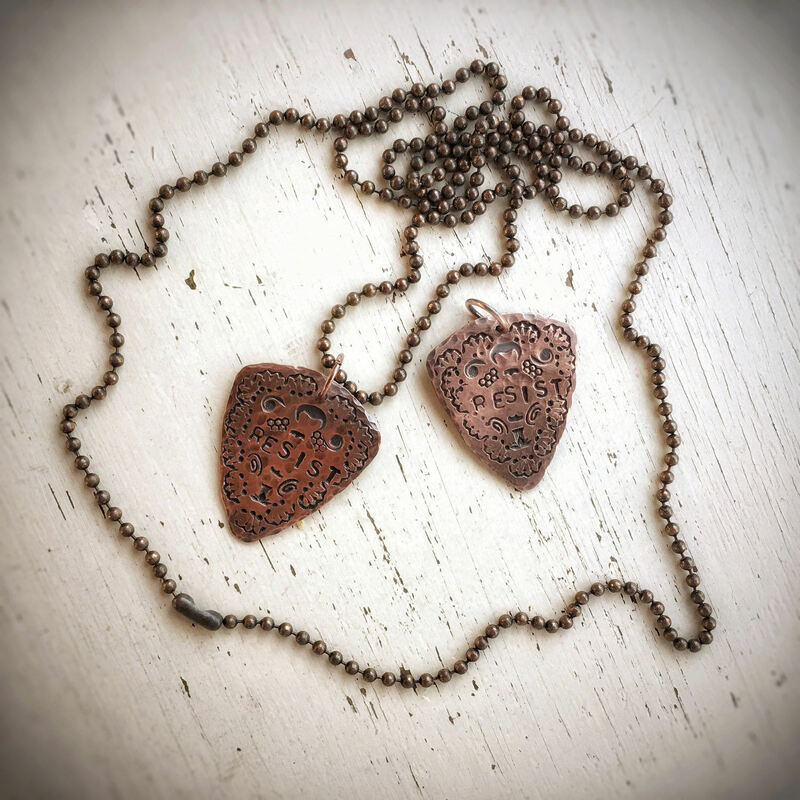 These guitar pick pendants are available with or without a custom length copper ball chain. The chain is a high quality solid raw copper, oxidized and hand polished out to a satin antique finish. Please allow approximately three days for construction of your made to order item. **Custom wording is available upon request, please contact us for custom inscriptions. 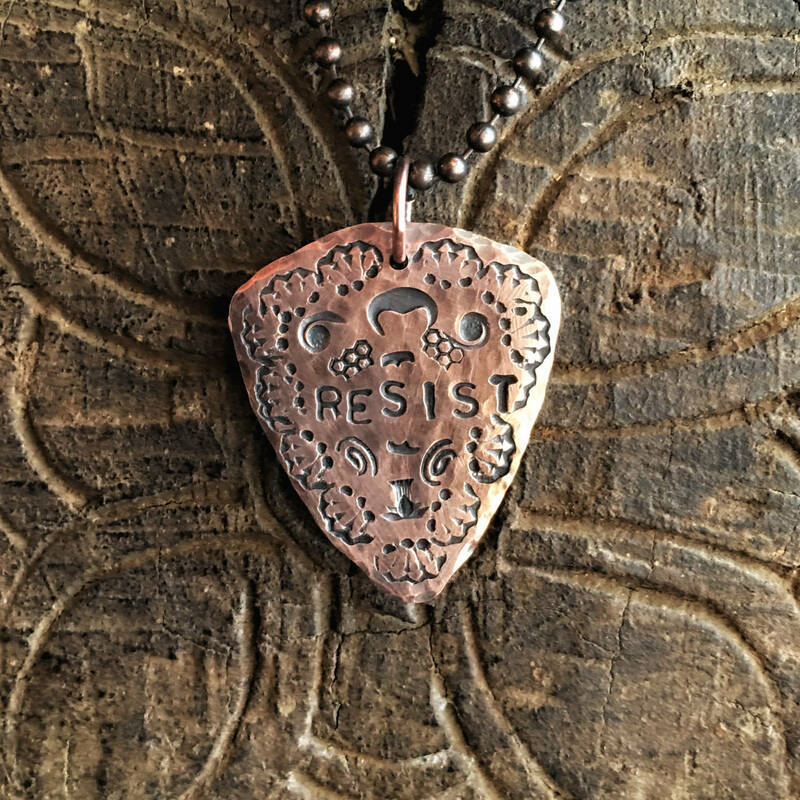 The copper guitar pick can fit 1 or 2 lines of apx. 7 characters each line. The tools used to work the patterns into the metal are antique and unique. You won't find another piece anywhere else like this. 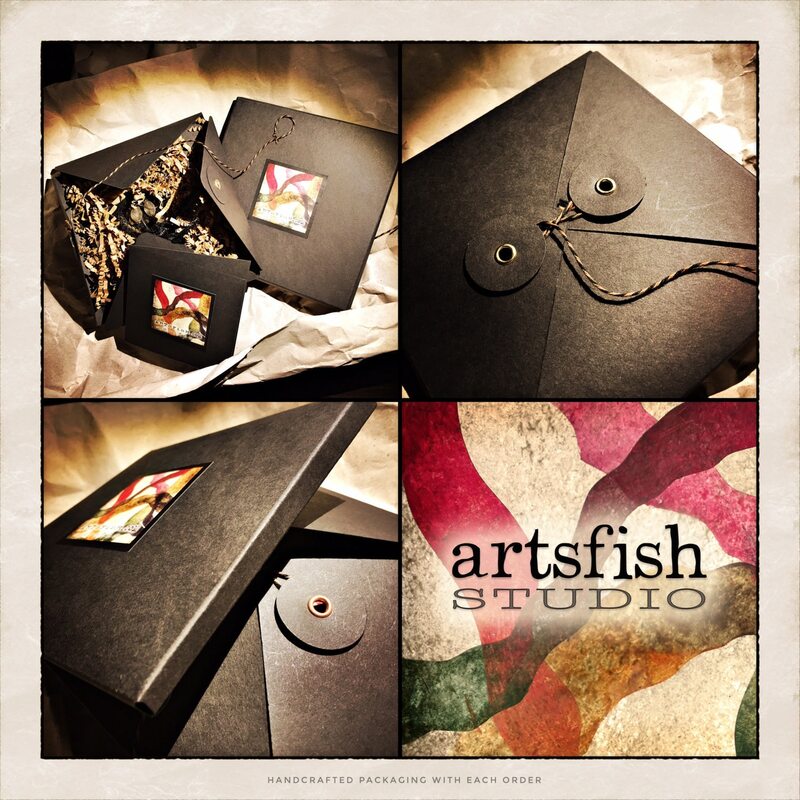 Your made-to-order item will come in a complimentary custom-made gift box as shown in the images above.